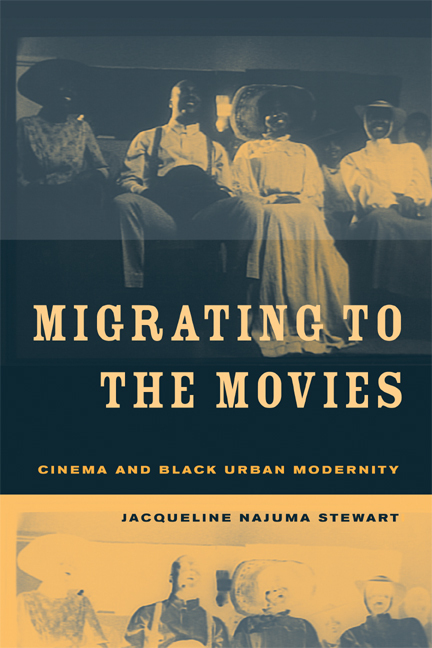 The rise of cinema as the predominant American entertainment around the turn of the last century coincided with the migration of hundreds of thousands of African Americans from the South to the urban "land of hope" in the North. This richly illustrated book, discussing many early films and illuminating black urban life in this period, is the first detailed look at the numerous early relationships between African Americans and cinema. It investigates African American migrations onto the screen, into the audience, and behind the camera, showing that African American urban populations and cinema shaped each other in powerful ways. Focusing on Black film culture in Chicago during the silent era, Migrating to the Movies begins with the earliest cinematic representations of African Americans and concludes with the silent films of Oscar Micheaux and other early "race films" made for Black audiences, discussing some of the extraordinary ways in which African Americans staked their claim in cinema's development as an art and a cultural institution. Jacqueline Najuma Stewart is Associate Professor of English, Cinema & Media Studies, and African & African American Studies at the University of Chicago.